The spaces in each classroom creates opportunities for children to be with the teacher and many other students, just a few students, or all alone. Shared work surfaces and areas replace the traditional desk. Teachers work in pairs and they work within the learning environment versus overseeing it. Teachers ask questions, discover the children’s ideas, hypotheses and theories, then provide opportunities for discovery and learning. Teachers partner with the children in learning; Children and teachers work as teams to develop projects. Collaboration accelerates learning. Each day starts here with morning meeting, which encourages personal greetings, communication and relationships among students, parents and teachers. This place is our village square, our city hall and our theater. It is our public place. Students often perform during morning meeting, allowing everyone to participate in music, singing, stories and movement. Parents regularly share stories – and coffee – as the students prepare for their day. Children of different backgrounds and achievement levels work together for a common goal. Children’s projects are documented and displayed through artwork, photographs, words, sculpture and natural materials in our hallways. Documentation affirms that children take pride and see value in their work as it is shared for everyone to see. 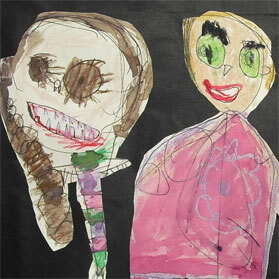 Children explore themes and work on short-term and long-term projects. Some last a few days; others are year-long endeavors. Our hallways are part of our learning and teaching environment. The office is the hub of leadership, accountability and care. It is here like in the rest of the school that each child is a unique, high-achieving individual and is treated as such. Just as education is tailored to the individual child, so is discipline. If a child needs a rest, a listening ear, a reminder or just a break from his environment, the office is the place for teachers and administrators to care for them. Parents are expected to be involved, both in the classroom and with homework. The office is a portal for parents and visitors to see, understand and be involved with the Child Discovery Center. Classroom work continues in the studio, exploring alternative learning styles. The studio is used by children and teachers alike. The studio provides tools and materials for exploration. The studio environment promotes innovation and discovery. 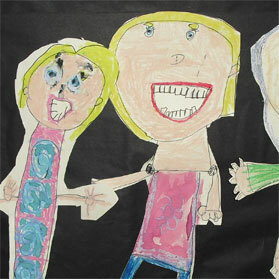 The studio creates tangible outcomes: sculptures, charts, paintings, gardens, mobiles, puppets and so much more.